The Original, Sophisticated Canopus sound. While developing the R.F.M. series, we first visualized what a maple shell should sound like. The modern maple drum shell has a solid, bright sound, but there are also some shortcomings that we believed could be improved upon. The shell itself does not resonate enough, the mid-range does not sustain enough, and there are often unwanted overtones. We concluded that it must be possible to develop maple shell drums that maintain the existing desirable traits, yet also address these issues. With this in mind, CANOPUS has moved forward with an ongoing research into maple-shell construction, closely examining problems that arise as we experiment. For example, when we make a thin shell for greater resonance, we lose sustain and cannot feel the power of the drum. We know this through our experience and accumulated observations. Reinforcement quickly drew our attention as a means to achieve a better sound. Reinforcement was originally meant to reinforce the shells, but we decided to use it proactively as a tool to shape tone. Through rigorous testing of all combinations in width, thickness and numbers of ply we have established our unique approach to reinforcing shells. Depending on a shell’s diameter and depth, we utilize different reinforcement construction as well as different shell construction. The result is our R.F.M. series that has a bright, solid sound with enough mid-range tone and resonance. We achieved a fantastic core drum sound as well; our maple drums have a wide tuning range, plenty of resonance and an excellent balance with the drum-set. We highly recommend our maple drums for all genres of music. The Club Kit was the first series CANOPUS introduced, and later it became the foundation of the current R.F.M. series. The Club Kit is characterized by the 15 inch bass drum, which is the smallest size that allows the use of a bass drum beater. Our challenge was to gain enough bass drum sound out of the smallest shell. Although a 15 inch drum is usually only considered for a tom-tom, we succeeded in gaining a surprisingly rich and low bass drum sound. People trying the Club Kit for the first time are impressed by the rich sound from its compact size. To achieve the rich sound on such a small drum, we use a standard tom-tom head. The difference between the bass drum head and the tom-tom head is the shape of the collar. On a 15 inch head, a standard bass drum collar is much too strong. 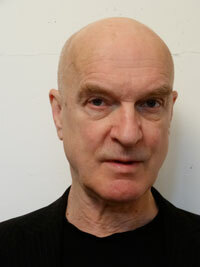 It absorbs the energy on the head and even muffles the drums natural resonance. After comparing a bass drum style head with a standard tom tom head, we found the latter to be much more resonant on such a small shell. This is a small example of the attention to detail that CANOPUS brings to the table. Rather than relying on simple theory or common sense, we take the time to think outside of the box to ensure our products achieve the ideal sound we strive for and our customers demand. Canopus is fully committed to the quality of their products, I’ve had first hand experience. In addition, they treat their customers with the utmost respect. I feel very confident owning their drums, because I know Canopus stands behind their products. 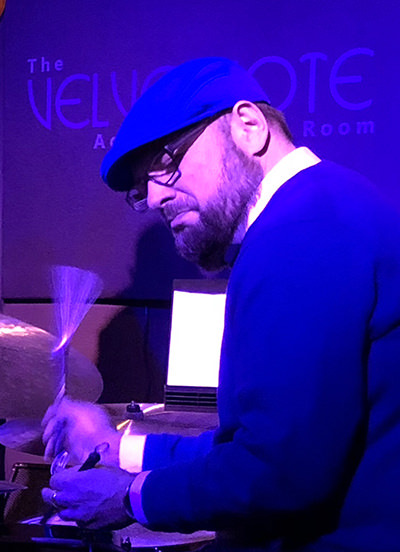 – William Lue – The Pantones, Washington D.C. Thin shells provide good resonance Reinforcement rings provide strength baring-edge profiles are matched to drum type to eliminate high-pitched overtones..
Canopus Toms And Bass Drums "Designed To Be Different"
A short time back I reviewed the solid-shell Zelkova snare drum made by a small Japanese company called Canopus. It was a unique drum in terms of its sound and construction. Canopus has also offered a variety of metal and ply-shell snares for quite a while. 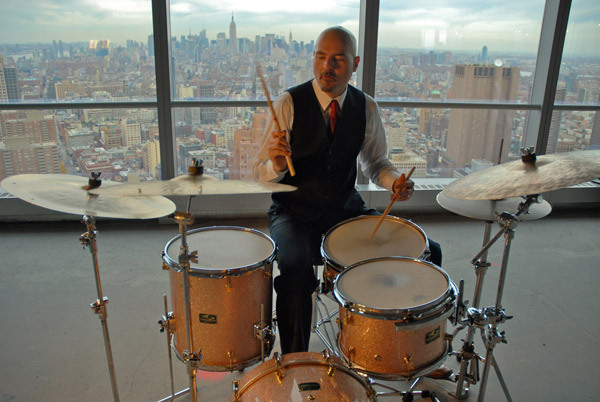 But now the company has entered the US market with toms and bass drums to create complete drumkits. In the 1960s and '70s, reinforcement rings in drumshells were the norm (with the exception of Gretsch). But in the 1980s several drum-makers besides Gretsch started offering shells with no reinforcement rings, claiming that a quality drumshell doesn't need them. Pretty soon, reinforcement rings became the exception rather than the rule. Canopus has taken a fresh look at the situation and decided that reinforcement rings are desirable in toms and bass drums. But the rings they use are quite thin. While they do add strength to the shell where it's most needed, they are also designed to enhance the vibrational capabilities of the shell by addressing a basic conflict in drum-making. It is generally agreed that the thinner a shell, the more resonance the drum will have and the warmer the tone will be. But if the shell is too thin, the drum won't have the strength it needs to withstand the tension of the heads and to stand up to forceful playing. Because they use reinforcement rings, Canopus is able to start with a thin shell. From there, they use nine different "formulas" of shell plies + ring plies + ring width to create their eleven tom and bass-drum models. 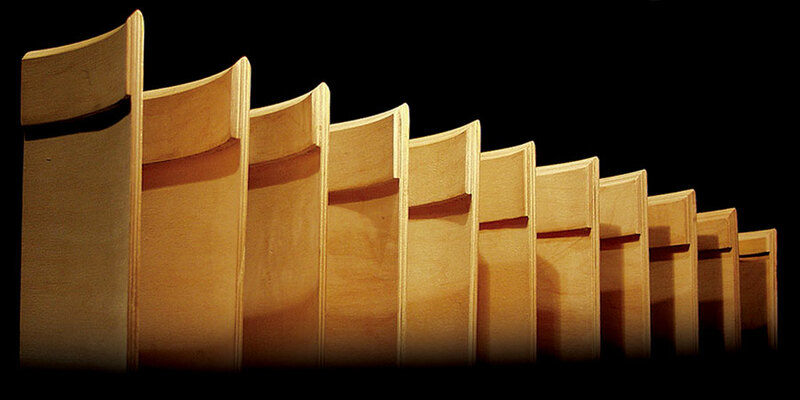 The rings vary in thickness from 3-ply to 5-ply, increasing the shell thickness at each end of the drums by 60-100%. The rings also vary in width from 1/2" on the smallest rack tom to 1.25" on floor toms and bass drums (except the 12x15 bass drum, on which the ring is only 1" wide). Canopus explains all of this by comparing the shell to a guitar string and the reinforcement ring to a guitar bridge. 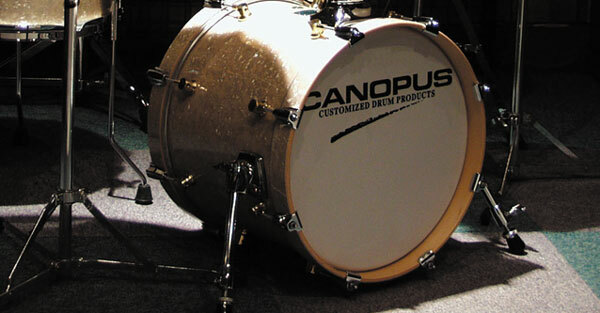 If you're curious, read all about it at the company's Web site, www.canopusdrums.com. Size and thickness of reinforcement rings varies with the size of each drum. The company also matches the bearing edge to the type of drum. 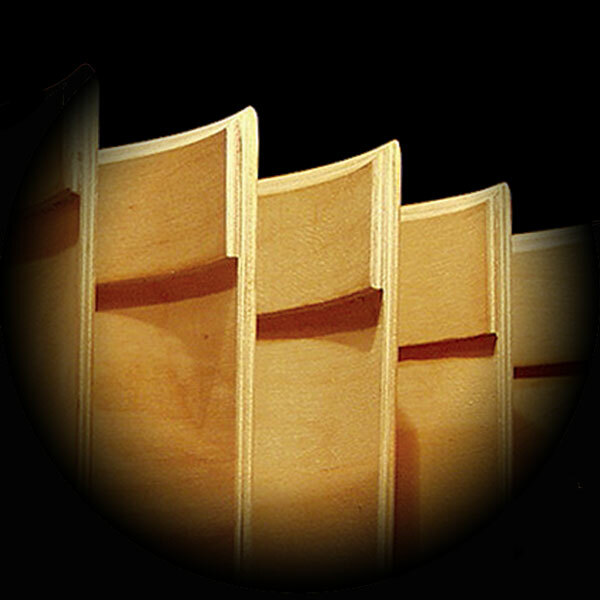 Rack toms, floor toms, and bass drums each feature edges with slightly different profiles. According to the company, this is done to control high-pitched overtones so that no muffling is necessary. This all sounds good in theory, but how do the drums sound to the ears? We'll discuss them by category. We received bass drums in all four sizes that Canopus makes. I started with the 15x22 drum, and immediately came to the conclusion that it was everything a bass drum should be. It had plenty of punch, but it also had a warm tone. The sound was dry enough that I didn't feel the need for any additional muffling, yet it had enough resonance and sustain to make it sound rich and full. he 15x20 drum was equally impressive. Because of its diameter, it favored a slightly higher pitch, but it still had plenty of bottom. And while it understandably didn't produce quite as much volume as the 22" drum, it had more power than I expected. As such it would probably be the best choice for those needing a drum that's strong enough for rock but that wouldn't overpower pop or even jazz settings. 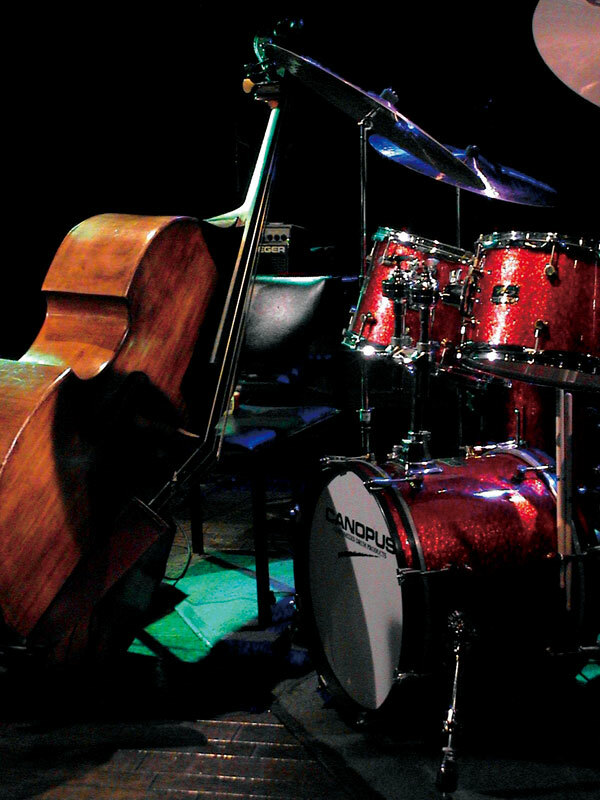 Having played quite a few jazz gigs over the years, l've heard many 18" bass drums that sound more like large toms. (You might call them "baritone" drums.) 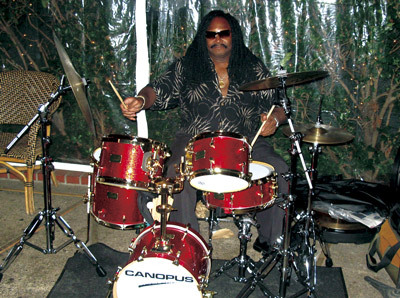 But the Canopus 14x18 bass drum got a credible bass sound with good punch and a warm tone. In fact, it compared favorably to some 20" bass drums l've worked with. If an 18" bass drum is a "baritone," then you'd have to call a 15" bass drum a "tenor." Anyway, that was my take on the Canopus 12x15. Tuning it as low as possible without the heads flapping, I was reminded of the way Elvin Jones tunes his 18" bass drum. l've heard other jazz drummers use similar tunings. So the Canopus 12x15 drum might find favor with drummers who want to keep their "bass" drum above the range of an acoustic bass player. This drum could also work for those who pad their bass drums so as to get a dry "thud" rather than a "boom." Of course, even a thud has some pitch to it, and there is no way that this drum will ever be mistaken for a 22" or even a 20", On the other hand, it could be quite adequate for triggering applications, and it certainly is easy to carry compared to a traditional bass drum. I'd suggest a drier batter head than an Emperor, though...such as a Pinstripe. One of the company's stated goals is to reduce "undesirable" high-pitched overtones by shaping the bearing edge. They've certainly achieved it with the floor toms, although from prior experience with floor toms on which the shell depth is less than the head diameter, l'm not sure all the credit can be given to the bearing edge. Nevertheless, all three drums had a considerably dry sound. But they also had quite a bit of sustain, which you don't always get with such a narrow range of overtones. Of the three drums, the 12x13 had the best tone, with the 13x14 a close second. But try as I might to tune, the 15x16 remained dry to the point of sounding brittle. This is not the drum for those who like boomy floor toms that sound like you're playing in a bathtub. 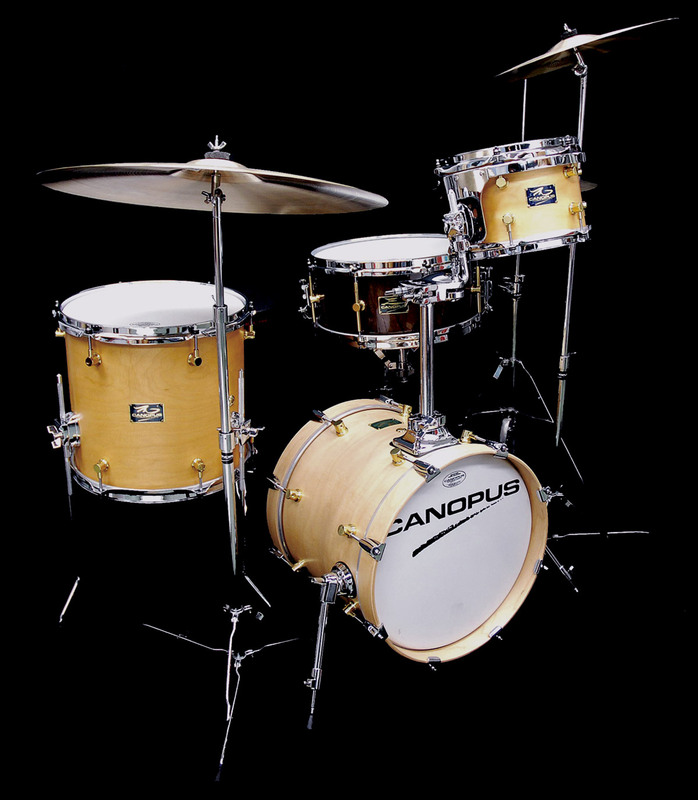 But for those who prefer a contained sound with strong attack and good sustain, all of the Canopus floor toms are worth investigating. All of the rack toms we reviewed were fitted with RIMS suspension mounts. They shared the basic characteristics of the floor toms in terms of having a dry, focused sound with a lot of sustain. But all four of the rack toms had warmer, rounder tones than any of the floor toms. They also sounded good over a larger pitch range. When I started playing various combinations of tom-toms and floor toms, I was impressed at how well they all worked together. I've played many kits in which the rack toms sounded fine in their own right, as did the floor toms. But when I started playing "around the kit" patterns, it sounded as if I had changed drumsets when I went from one type of tom to the other. Not so here. Even though the rack toms had slightly richer tonal qualities than the floor toms, the overall sound of the drums was harmonious. Had the floor toms been any "boomier," they would have overpowered the small toms. If I were only using two toms, I wouldn't match the 6.5x8 rack tom with the 15x16 floor tom, since the optimum pitches for each drum wouldn't make a good match. Nevertheless, in terms of overall timbre, they sounded as if they belonged to the same drumkit. So it would be pretty safe to mix and match sizes to fit one's personal preferences. 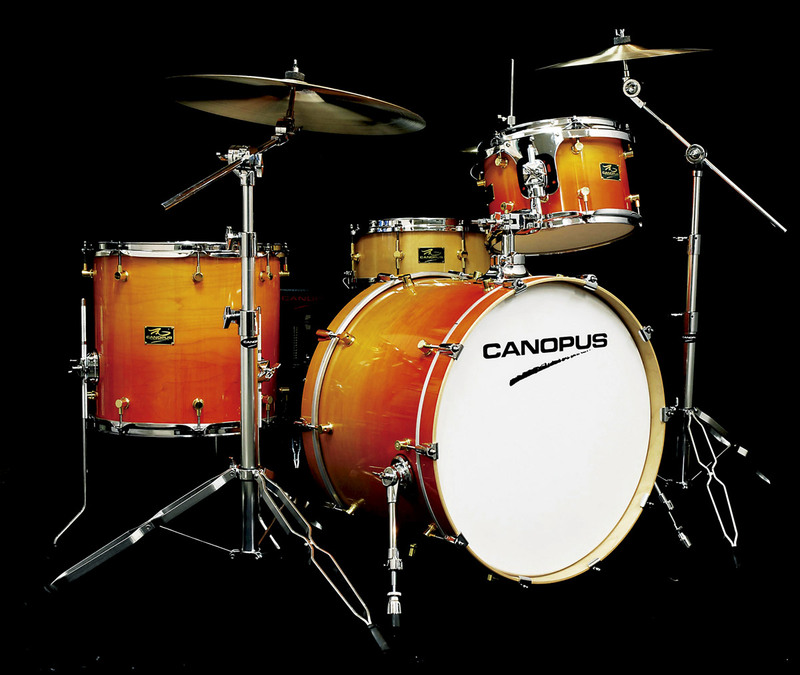 Canopus drums feature quality workman-ship, and they are professional in sound and appearance. But they're not just a carbon-copy of all the other drums on the market. What sets them apart is that elusive quality called "personality." The dry sound of Canopus drums won't fit everyone's taste or playing style, but then neither does the K" style of hand-hammered cymbals. Buddy Rich said that the best thing you can say about any drummer is that he has his own sound. Perhaps that same philosophy should be applied to drums themselves, If you agree, you should check out Canopus drums. They're available through various dealers in the US, and can also be ordered direct from the company's Web site: www,canopusdrums.com. 18", 20", and 22" bass drums fitted with Remo PowerStroke 3 batter heads with Falam Slam impact pads. 18" and 22" drums fitted with white coated front heads with Canopus logos; 20" drum fitted with smooth black front head, 15" drum fitted with Remo Emperor batter and coated white front head. All toms fitted with Remo white-coated Ambassador heads on both sides. 20" and 22" bass drums: 6-ply, 5/32"-thick. All other drums: 5-ply, 1/4"-thick. Standard colors: sparkles in red, blue. green, black, silver, gold, and champagne, solid black. Custom colors (10% extra charge): black oyster, white marine sparkle, and black diamond. The kit has arrived and I am knocked out. They open up with the lightest touch and it makes me want to play softer. They are super light in weight but deliver the best of the tone of the great vintage drums - but brought up to date. The attention to detail is amazing. Fit and finish are perfect; bearing edges and stain all perfectly even. They tune easily. The stock heads are exceptional. There’s a transparency to the tone that will make it easier to play and blend with other players. The brass lugs are all class. Under the mics the drums are a dream. The Hybrid II throne is fantastic - lighter weight, as strong as those heavy thrones we all hate dragging around, and with a natural hemp cover that will be great for long gigs. The Speed Star bearings for pedals are the truth! I’ve played my Camco pedal stock since 1988. When I added the Speed Star bearing, it made my workhorse pedal quieter, more responsive, more efficient, and smoother. Such an easy way to improve your favorite pedal. My RFM drums are the warmest, most musical drums I've owned, in nearly 50 years of playing. I like to tune my drums high, and the RFM don't lose any of their tone, even at the highest tunings. And the 15" bass drum is about my favorite ever - incredible tone and articulation, and it's easy to haul around. CANOPUS R.F.M drum kit are the best drums that I’ve ever played thus far! Their strengths are in the design, quality and exceptional sound!! 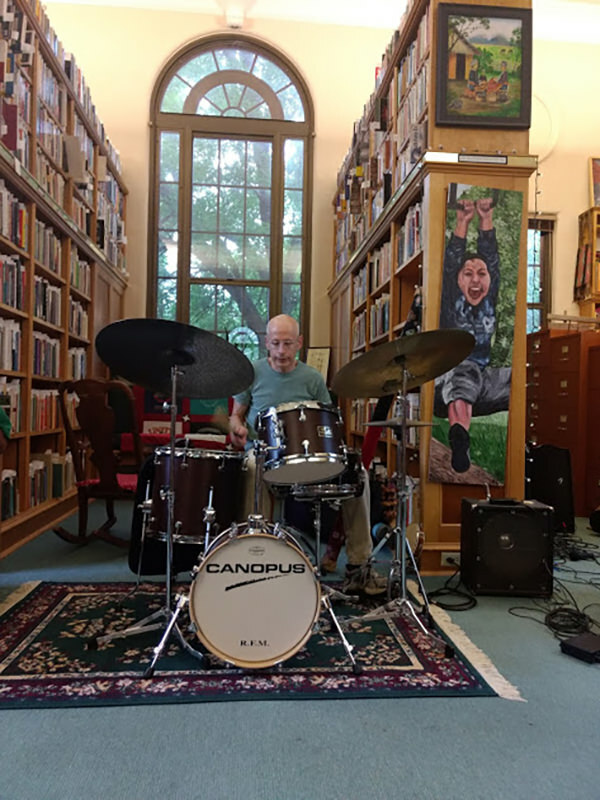 It doesn't matter if I’m playing a “live” concert or recording in the studio, the impeccable steady tone, sound and crispness of CANOPUS DRUMS comes through for me, and is incomparable to all of other drums on the market! 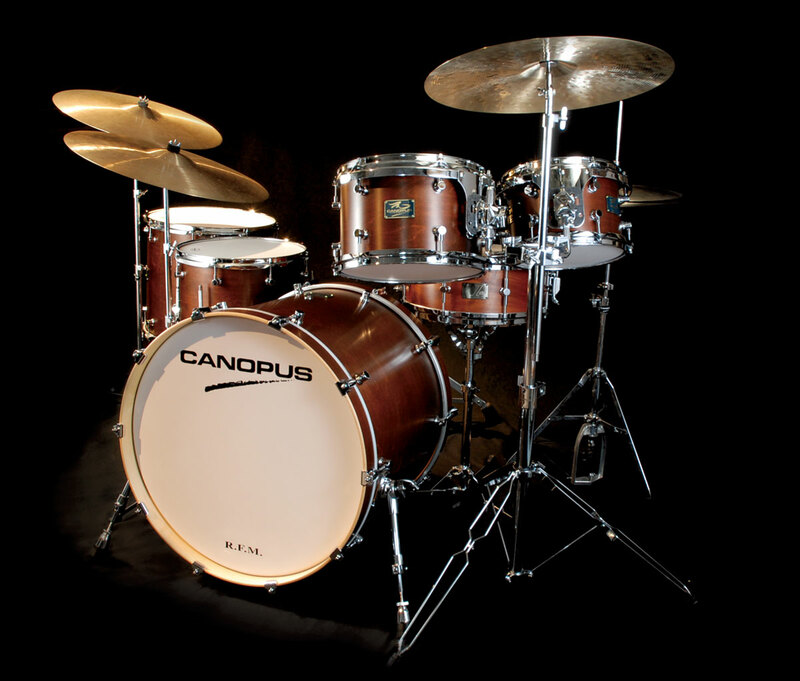 I will not settle for less than CANOPUS DRUMS! They are the best sounding and well made drums I have ever played. Love the bitter brown oiled finish. 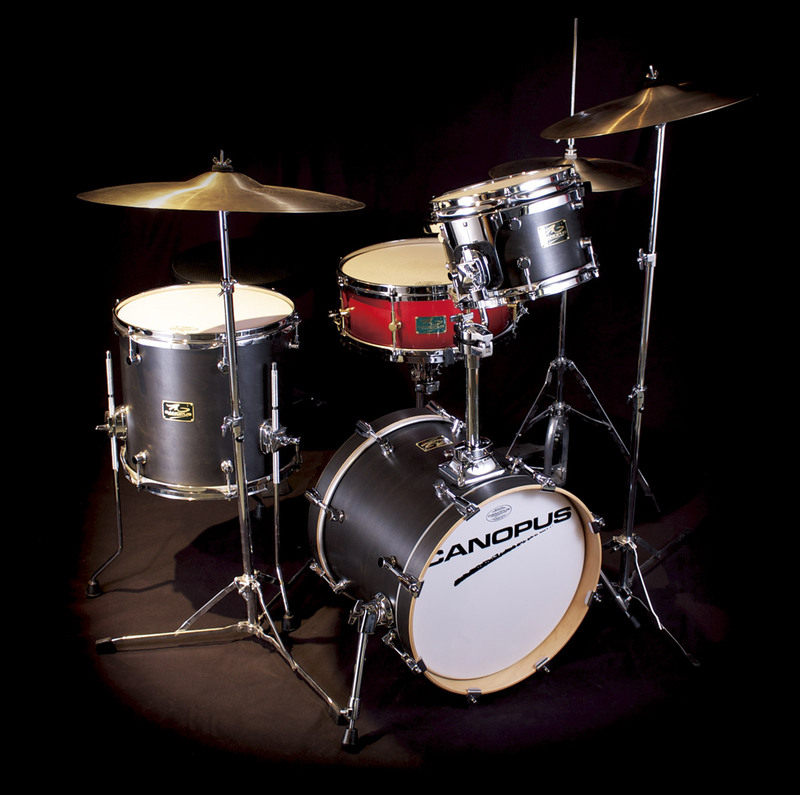 The club kit has all the tonal clarity and authority you could wish for throughout the pitch range, and the drums are made with the attention to detail and shell innovation that makes canopus such a great company. When we opened the boxes of our new Canopus drum kit, I was blown away by the craftsmanship and high quality of the materials. Once we set them up and played them, we were in heaven! The drums sound amazing and are absolutely beautiful and a pleasure to play! We are all in love with these drums!!!!! !